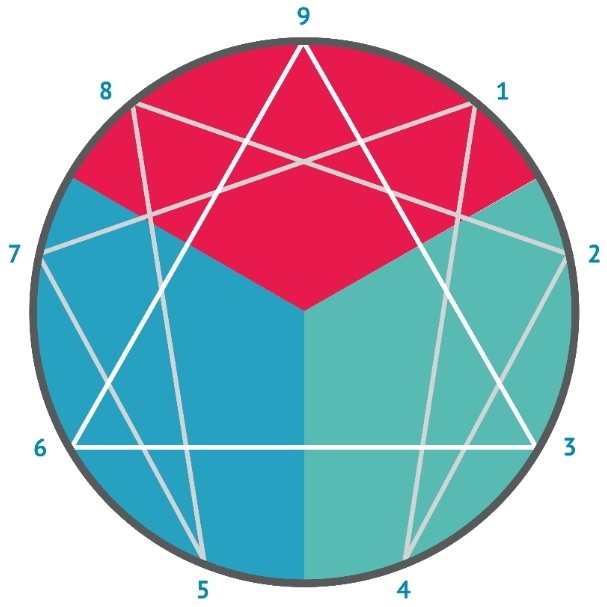 » What is the Enneagram of Personality? The Enneagram is a psychological framework for understanding the human personality. The Enneagram is often referred to as a personality typing system or typology. But it is really a tool for personal development. It's especially useful if you seek to understand yourself and others. It helps us learn how our personality reacts to it's environment. And most importantly, what that means. If we're reacting in unhelpful ways, then we learn what we can do to change that. Are you learning about this framework for the first time? Then notice that there are nine points around the circle. These nine points represent the nine different ways that we show up in the world. Also known as the nine personality types. The lines and colours used on this symbol are not arbitrary. In fact, they are an very important for understanding the Enneagram. One might even say the Enneagram symbol is a map for the Philosophy of the Enneagram. Most important, it is so much more than only a personality typing system. When you understand the depth of the Enneagram, you see that it's wisdom is much deeper than 'typing' you and putting you in a box. In fact in my experience, it had the opposite effect. It has helped me identify the box I was in, and it helped me out of that box. It highlights a pathway toward liberation of personality for all 9 types. It's a psychological framework to understand human behaviour. The symbol acts as a map for the philosophy of the Enneagram. It's a framework which can light a pathway to liberation of personality. So, I've mentioned liberation of personality, what does this mean? How can we become free of our character, if we all have one? The Enneagram can help us decode decades of behaviour patterns in ourselves and others. It's powerful in helping us understand why we do what we do. Once we understand the why and how we do things, this tool highlights the pathway to new behaviours we can choose. Almost as though our nature no longer has a hold on us. For example, were you ever angry at yourself for acting or responding in a certain way? That you could see the unhelpful behaviour, but weren't able to stop? Have you ever had the feeling that you're 'hooked'? That you feel like you have no choice in how you respond? Through the wisdom of the Enneagram, you can find new ways to respond. And, obtain deeper awareness of why you react the way you do. Awareness is a key factor to self-development and personal growth. As has been noted by many spiritual teachers and gurus. During our Enneagram Masterclass, we introduce you to the concept of awareness. In a safe group environment, we facilitate self-awareness practices. Indeed, in our 3-part workshop series, we dive deep into the framework. We begin the journey by learning the 9 houses of personality. We discuss how our three centres contribute to how we show up. Modo's Enneagram training invites you to discover yourself in this profound system. The Enneagram can help you understand why you do what you do. Cultivate a greater self-awareness through the Enneagram. Modo Masterclasses introduce you to the Enneagram. Try a Modo Enneagram Workshop to deepen your self-awareness. There is not a single truth or source for the origin of the Enneagram. Being that many different scholars and sages have developed it over time. All who have contributed their own wisdom. So this next part is for those who enjoy history. Here is a brief timeline of how it came to be in our world today. 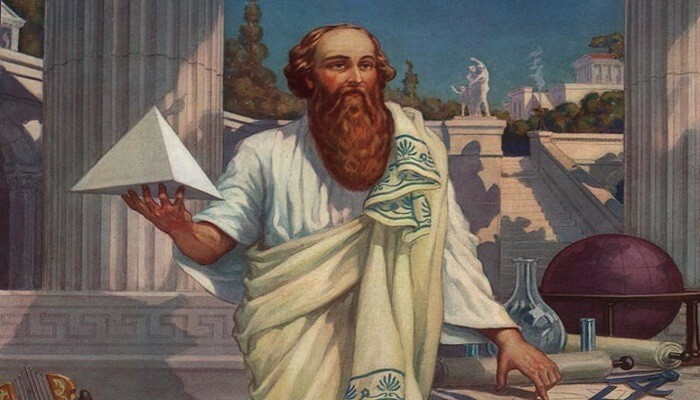 We can trace the symbol back to the Greek Philosopher Pythagoras. This is also where we reveal the meaning of the word Enneagram. Since it is composed of two Greek words, ennea (nine) and gramma (something written or drawn). George Gurdjieff reintroduced this ancient symbol in the early 1900's. He taught his own philosophy through the use of sacred dances and symbols. According to Gurdjieff, the Enneagram is "the fundamental hieroglyph of a universal language." His work is titled with another name. The Fourth Way Enneagram. According to Gurdjieff, the Enneagram shows the universal Laws of Seven and Three. In the 1960's Oscar Ichazo developed the Enneagram of Personality. He began using the Enneagram symbol in his teaching at Arica Institute. Which is a not for profit aimed at the human potential movement. Ichazo designed his teachings to help people transcend their identification with — and the suffering caused by — the mechanistic thoughts and behaviour patterns of their personalities. Indeed there are many present day contributors to the work of the Enneagram. Of special note is Russ Hudson and Don Riso. They published the Riso-Hudson Type Indicator (RHETI) together. The RHETI is a question based, scientifically validated test. This test is quite useful when discovering your Enneagram type for the first time. Overall, this post is a brief and incomplete list. As there is such a vast history behind the Enneagram. There are many more people who have contributed to the work. We would be only too happy to discuss this further at our Workshops! In conclusion, ancient philosophy and modern day psychology support the framework of the Enneagram. With the wisdom of these two areas combined we get a framework like no other. A framework that helps us understand ourselves and others like never before. The philosophy behind the Enneagram has many influences. We see influences from Christianity, Buddhism and Islam. Even Taoism, mystical Judaism and ancient Greek Philosophy. However the Enneagram itself is secular in nature. It doesn't require any religious background, or education to understand the wisdom that it holds. Are you ready to take a look inside? Are you ready to discover what gifts you have to offer this world? Then we invite you to join us on this journey. We hope to share with you how the Enneagram can bring a deeper sense of self awareness, and light the path to freedom from personality. Find out more about Modo's Enneagram Pathway and reserve your seat today! Donna takes a genuine interest in the collective and personal growth of the human race and its individuals. Donna is a seeker who loves to travel and invests considerable time in her own personal growth. Donna is a professional coach and trainer, Enneagram expert and the Managing Director and Partner of Modo Coaching & Training.